Bluetooth Wireless Headphones, GEJIN Active Noise Isolating Headsets, Magnetic Earphones With Mic for Office and Home (White) by GEJIN at B Bluetooth. MPN: S6-Xin4. Hurry! Limited time offer. Offer valid only while supplies last. Adopted Superior Material and Advanced Design, With High Stereo Sound Quality -- All these make sure you can reach the maximum relax in your world. Adopted Superior Material and Advanced Design, With High Stereo Sound Quality -- All these make sure you can reach the maximum relax in your world. 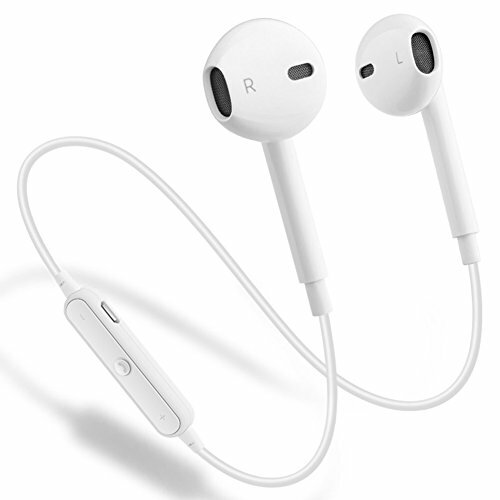 Sweat Isolation: These earbuds are rated IPX Level 6 and can withstand dripping sweat. Ergonomic design allows for ultimate wearing comfort to match your active lifestyle like running, jogging, cycling, driving and so on. If you have any questions about this product by GEJIN, contact us by completing and submitting the form below. If you are looking for a specif part number, please include it with your message.